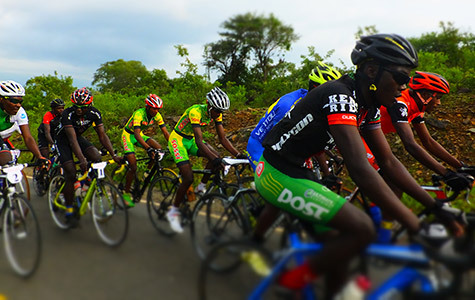 Welcome to the Safari Simbaz Educational Centre , where cycling is used as a means to uplift children in disadvantaged communities in a positive activity which builds their self-esteem , teaches them life skills and empowers them with knowledge to sustain themselves economically in the future. We believe that cycling is more than having fun on a bike! We use the power of the bike to instil characteristics and skills which grow “champions” on and off the bike. Skills which prepare anyone for a successful life. These include courage, strength, determination, discipline, dedication, teamwork and knowledge. Under the care of the Safari Simbaz, children are taught everything that relates to a bike…how to fix it, how to look after it, and how knowledge of the bike creates opportunities for jobs in the future, whether individuals own a bike shop, are cycling instructors or bicycle safari guides. Join our sponsors and help us grow champions on and off the bike. Any donation, big or small, will assist us empower even more children to be self-sustaining individuals equipped for a successful future. We have a huge vision to build a better equipped modern centre which will include a cycle shop and garage, IT centre, farm and greenhouse. Please help us do this.